The Inn at Vaucluse Spring is a serene oasis on over 44 acres with a village of guest houses perfectly suited for intimate group events, gatherings, and retreats in Virginia (up to 32 people). We have a variety of spaces to gather, while still providing luxurious and private accommodations, all with their own Jacuzzi tubs and fireplaces. Great amenities like the pool may have you feeling like you never want to leave. Yet if you plan to explore the area, we are a short drive to many great restaurants, wineries/breweries, shopping, and outdoor activities such as Skyline Drive and Shenandoah National Park. For easy access, we are ideally located a short 3 miles off the I-81 and 4 miles off the I-66. We are also only 90 minutes from DC and 70 minutes from Dulles International Airport for those traveling by air. Corporate retreats are powerful tools to strengthen teams, enhance creativity, and boost productivity. The Inn is the perfect spot to host your next corporate retreat. Whether you plan to have a working retreat or a team building adventure, we will work closely with you to provide just what you are looking for. We have ample spaces for the entire group to meet, as well as smaller spaces for break-out groups or private meetings. Dr. Niide also specializes in corporate mindfulness and leadership programs and can customize a package based on the particular needs of your group (see our mindfulness programs). Once the meetings are done, retire to wonderful private accommodations, each with their own private Jacuzzi tub and fireplace. After a refreshing sleep, wake to enjoy a delicious gourmet breakfast and then resume the team activities fully recharged and ready to go. Are you a yoga, wellness, a spiritual, or artistic teacher looking for a unique destination that can offer a more upscale approach to a retreat? 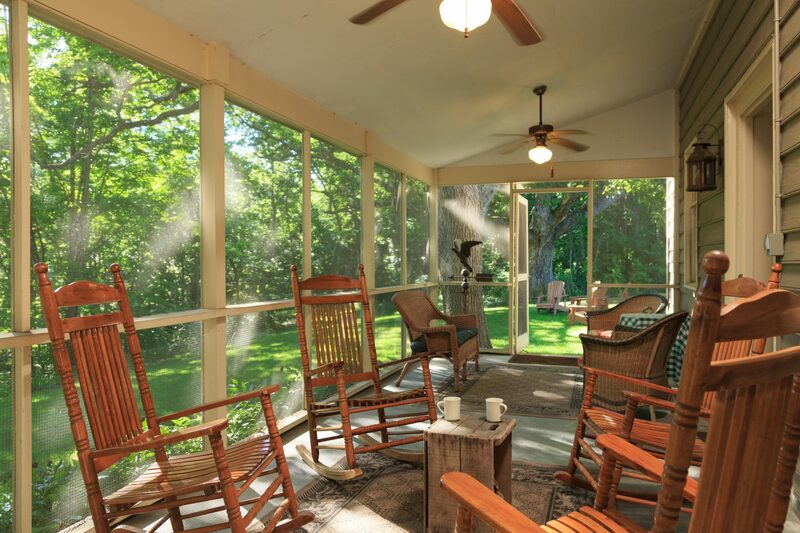 For your clients and students who are looking for luxury AND natural serenity, the Inn at Vaucluse Spring is the perfect spot for wellness retreats in Virginia. Let us pamper your clients with luxurious accommodations and amenities and excellent service…setting you free to focus on sharing your unique wisdom and expertise with your group. Our grounds offer over 44 acres to roam in mindful contemplation, do outdoor activities such as yoga, tai chi, or chi-gong, take photos, or draw…with the only sounds being those of the spring-fed waterfall, nature, and wildlife. The Inn provides a natural balance for creative and wellness retreats, with ample common areas to gather and private areas to be introspective. Are you someone looking to nourish your mind, body and spirit at a retreat? 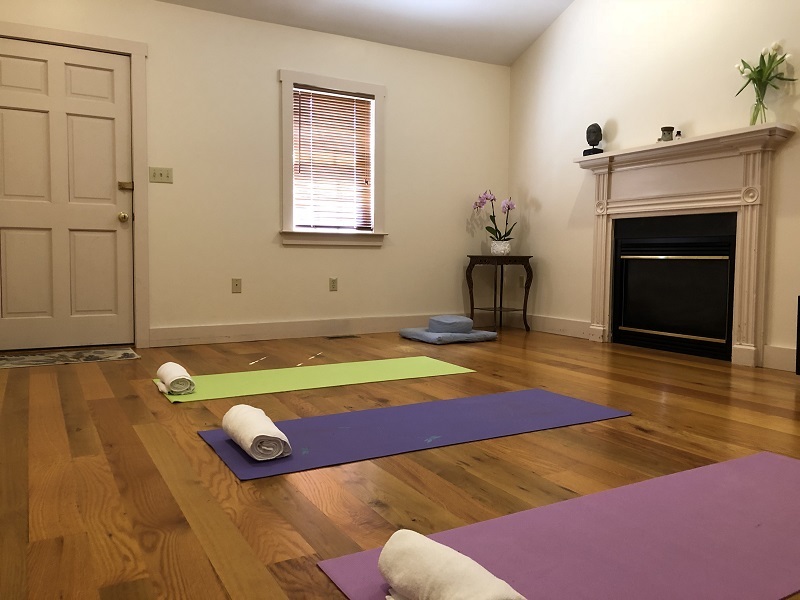 Please see our mindfulness programs page and calendar and be sure to sign up for our newsletter so we can keep you posted on our events and retreats coming up here at The Inn at Vaucluse Spring!